All throughout my life up until a few years ago, I was under the impression that Southern Gospel music was music I’d never touch with a ten foot pole. Not that the music wouldn’t be technically good, but because I was never really exposed to the genre when I was a child, hence my assumption that music like the Gaither Vocal Band was maybe too over-the-top or charismatic or evangelical or whatever you want to call it. Too southern? I don’t know- does it sound like I’ve made a big, big, big assumption? My viewpoint that CCM was much more enjoyable and safer and better, was firmed up even more when I found myself enjoying Michael W. Smith and MercyMe’s setlists over Ernie Haase and Signature Sound’s, at a live concert in 2012. Yet a few years ago, I found a few Jason Crabb songs to be impacting to me and enjoyable immensely- however I just chalked up my enjoyment to the fact that the songs I was enjoying was semi-CCM- and Jason was signed to Provident Label Group at the time of me listening to more and more of his music. Yet it was when I took the plunge and listened to and review Cana’s Voice’s debut album (because of Jody McBrayer!) that I found myself equally amazed at the vocal prowess of both Doug Anderson and Taranda Greene. Both accomplished vocalists in their own right- yet both southern gospel artists as well. And what was I going to do with that information? A while ago, Taranda released her brand new solo album The Healing…yet it is only now that I have taken the plunge outside of my own preferred genre- to see what God wants to show about my preconceived ideas about southern gospel music. The result is a stellar, beautiful experience, that has me declaring that Taranda is probably right now one of my favourite female vocalists. That’s a big turnaround, right? The bulk of the songs on The Healing just feature soothing keys and Taranda’s big, booming vocals, channelling Janna Long from Avalon many, many times. And that’s definitely a good thing, as it reminds us that Taranda is using her strengths to glorify God in ways that we all can be transfixed and impacted greatly by. Yet even with just keyboards, there is still something on this album that keeps me engaged- and that is the simplicity and beauty of Taranda’s Holy Spirit anointed voice. Album opener “Mercy Has Changed Me” is essentially a worship song declaring that Jesus Christ and His mercy has changed us all for the better, as Taranda passionately and eloquently reiterates the ever true fact that with Jesus with us and in us, we can live life truly as we were meant to live- changed from the inside out. While sobering piano ballad “When The Healing Comes” vividly describes all of the tragedies and the global adversities occurring in this world, then later turns into an all-out epic anthemic orchestral piece, as Taranda ardently and powerfully declares that everything on earth will be made right when Jesus comes back to Earth- when the healing comes. It is these two near flawless masterpieces that set the tone for the rest of the album, as we are delivered a honest and heartfelt collection of songs that can be listened to whenever we all need inspiration when we’re feeling down. “Think About You” is next, and is a jazzy, blues-y pop-ish 4 minute melody that basically declares that whenever we think about Jesus, we automatically can’t help but feel happy and joyous, simply because He has overcome the grave and He has won all of the battles that we’re currently facing; while mid-tempo acoustic guitar ballad “The Stone Is Rolled Away” contains an explosive gospel choir as backing vocals, and has Taranda overtly reminding us that Jesus is alive, and because of the fact of the stone being rolled away, we can live in true freedom at all times. Tearjerker “Uphill Climb”, delves into the long-lasting love of a couple where we are alluded to the fact that one of the personas has Alzheimer’s or dementia- yet there is true devotion from the other party even in that difficult situation- and that is true love (when the other person doesn’t even know about it! ), that is only even a fraction of the loves Jesus has for us; while Taranda places on her Laura Story hat vocally and exquisitely declares that the Kingdom of God is already here on Earth as it is in Heaven- through us- in the worship anthem “New Kingdom Rising”- which could even fit on Laura’s albums, or even albums from Francesca Battistelli and Natalie Grant. A re-doing and modern gospel/jazz take on “Nothing But The Blood” is next, and is surprisingly very enjoyable and groovy, as we dance and jump for joy with Taranda skilfully and beautifully delivering a well-worth-the-listen rendition of one of the most underrated hymns ever in my opinion; while the jazz inspired “Somebody Told Me About Jesus” is technically sound, however doesn’t really connect with me at the moment. That’s not to mean that the song isn’t good- it is, but compared to the other songs, in my opinion there’s something lacking here- which you may disagree with me on, but that’s ok. Thankfully, the hymn-like “Hallelujah, Praise The Lamb” follows, and is what you could say is the pinnacle of the album, with Taranda keeping things simple, and using her angelic voice to offer up praises to the Lord Most High, our Father and our Friend, letting us know that even though before we were dead in sin, because of Jesus, we can praise the Lamb because He is alive. What a concept that we all need to fully grasp and understand before we can worship Him with that same intensity as Taranda’s in this song- and maybe even more so. The album ender is Taranda’s rendition of Brookyn Tabernacle Choir’s “He’s Been Faithful”, a worship anthem that essentially highlights the notion of Jesus being faithful to us time and time again- the notion of Jesus never leaving us, and the notion of Jesus keeping His promises. Both now and forever into the future. Call my stereotypes officially shattered, as Taranda Greene invokes and stirs up almost every positive emotion ever conceived in me, and has me declaring that I’m a fan of her music. Almost certainly I’m going to check out the rest of Taranda’s discography- and I reckon you all should to. Despite the bulk of The Healing being rooted in southern gospel; there’s no denying the passion and heart for Jesus here. While it isn’t know if/when Cana’s Voice will release new music- one thing is for certain. And that is that Taranda has plenty more years in her. And I will gladly listen to her music until the day comes when God moves her on to something greater that He has for her. 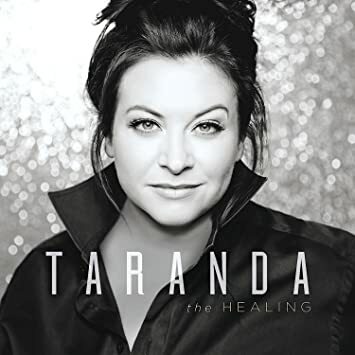 So well done Taranda- The Healing is amazing- and everyone else, go check out the album. I’m sure you’ll be glad that you did.